ARAHMAS Resort & Spa Phuket is luxurious five-star-deluxe resort consists of 88 Luxury room and 13 suites plus 16 pool villas located beach front of Nai Yang of Phuket. The Arahmas Resort & Spa is a luxurious five-star-deluxe resort consists of 88 Luxury rooms and 13 suites plus 16 pool villas located beach front of Nai Yang Phuket. - Swimming Pool : 3,000 sq.m. with waterfall and direct access to ground floor luxury rooms. 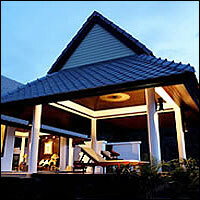 5 kilometers or approximately 15 minutes driving from Phuket International Airport.